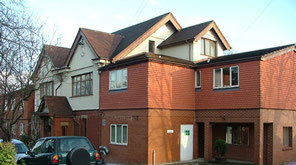 Welcome to The Gables Nursing Home, a leading provider of quality nursing and residential care in Pudsey Leeds. Our pleasant and well-equipped care home, combined with caring and highly qualified staff, enable us to offer a range of specialist care services that are second to none. Each member of our team is dedicated to creating a truly homely environment for all our residents as well as providing the highest standards of professional care. We provide nursing, residential, palliative and Alzheimer’s care. It has always been our policy to provide complete and individually tailored care for our residents - 24 hours a day, 7 days a week. We are committed to building a strong and caring relationship with each resident based on respect for the individual's needs, dignity and privacy. Our holistic approach means taking care of all physical, spiritual, emotional and health requrements in a professional and caring environment where each resident can flourish.